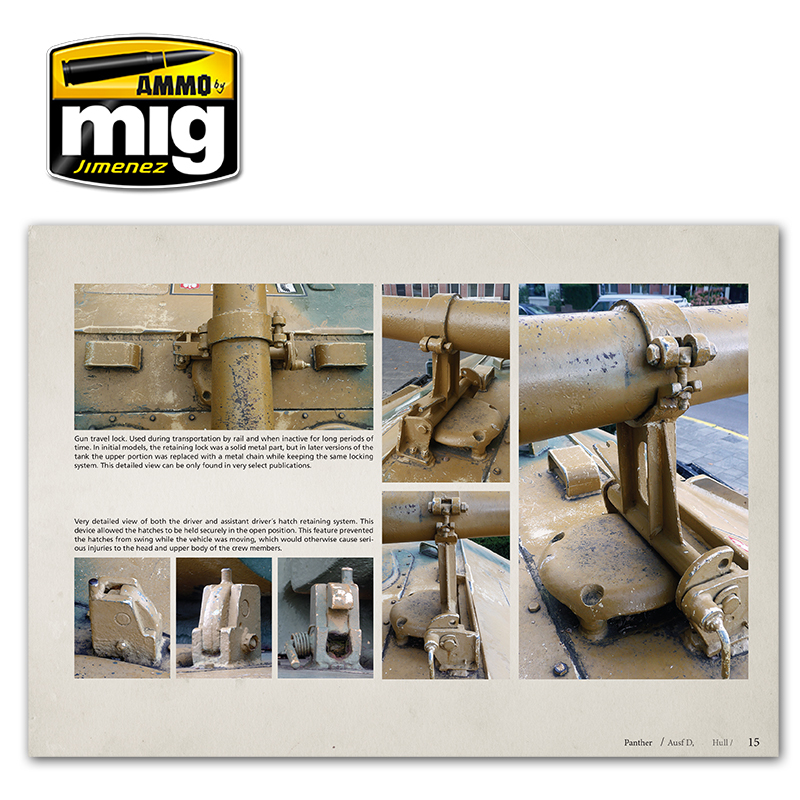 Great photographic compilation where it’s shown, in an easy and depth way, the most important and unknown details about the Sd.kfz.171 Panther tank. 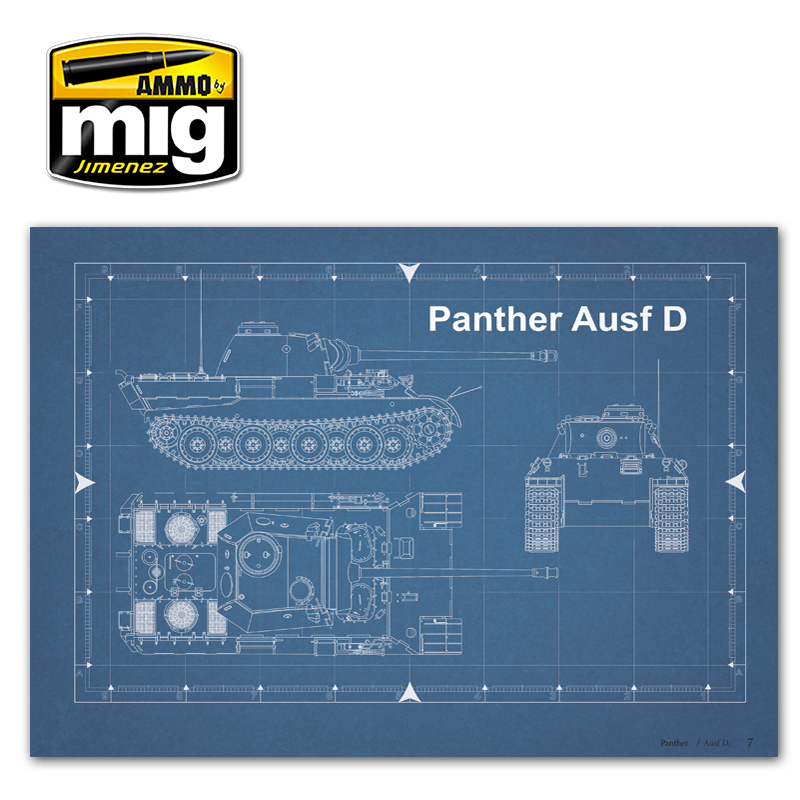 Fun and easily referenced sourcebook where you can visually analyze and distinguish the main versions of the Panther, from the initial models to the final production variants. 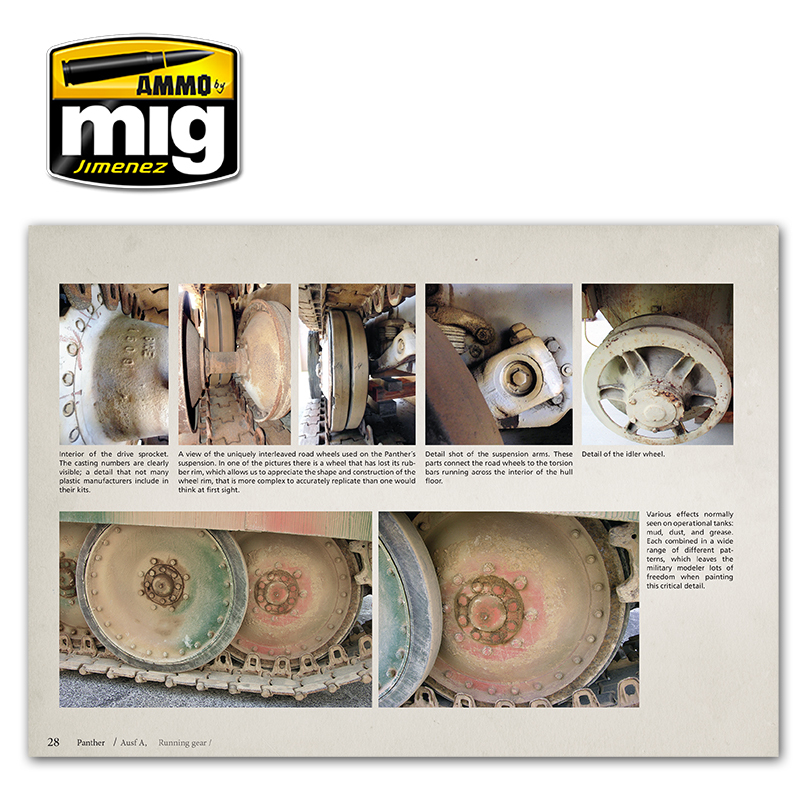 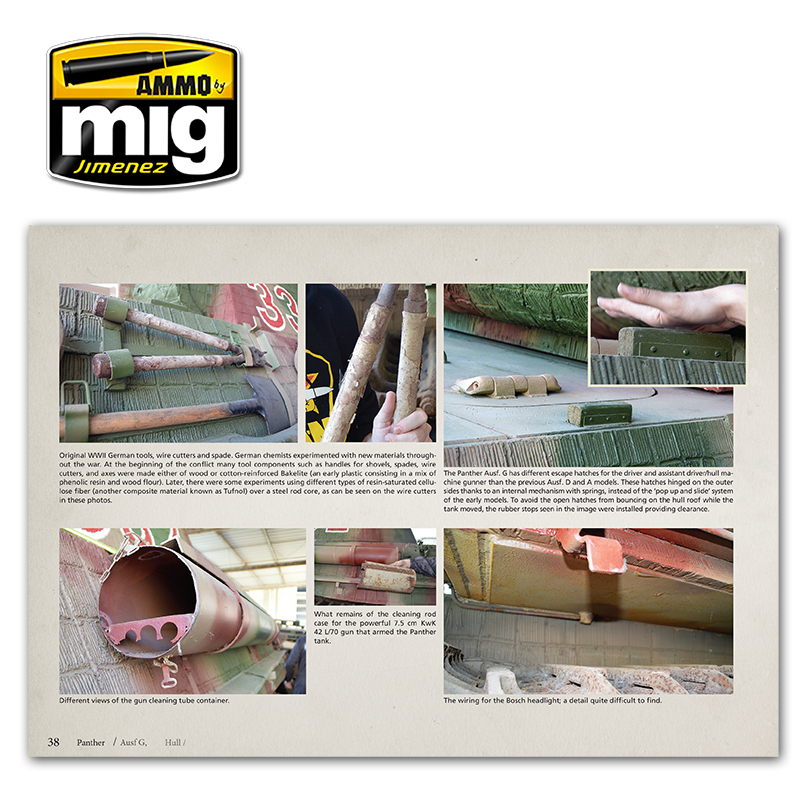 The brief introduction includes some historical notes about the design and development process of the vehicle. 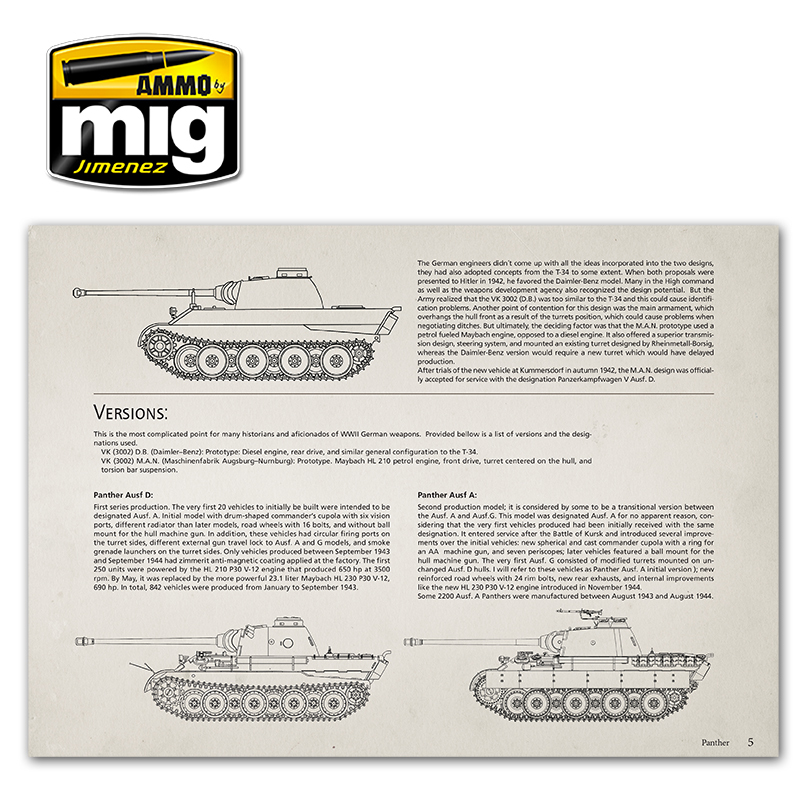 All of this with high-quality photographs that clearly show details not seen before in any other publication dedicated to this tank. 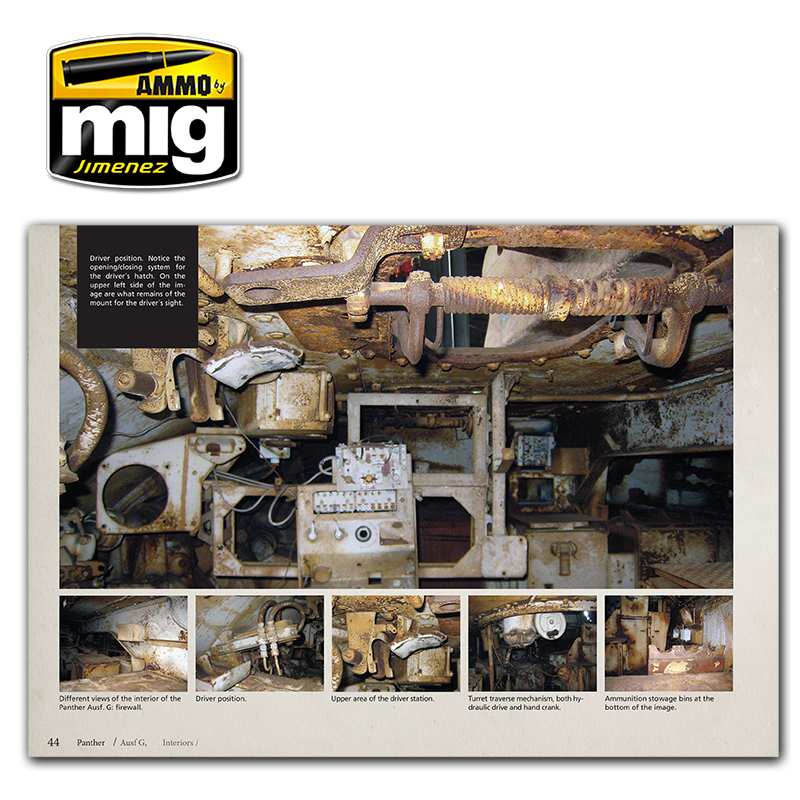 62 pages, with more than 154 high-quality photographs including rarely seen details. 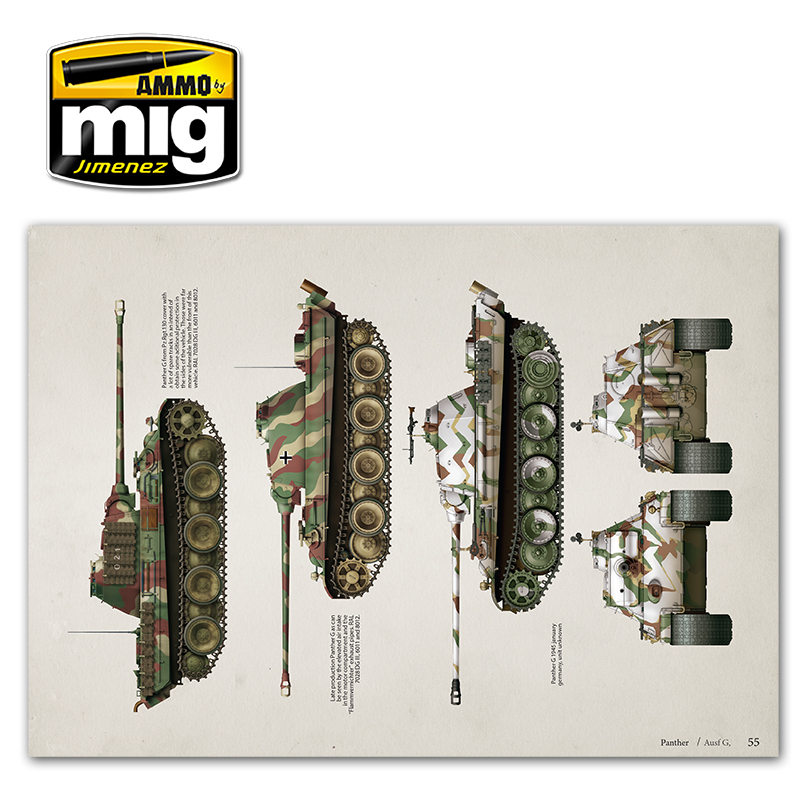 29 fully detailed colour profiles with camouflage and markings for all Panther versions. 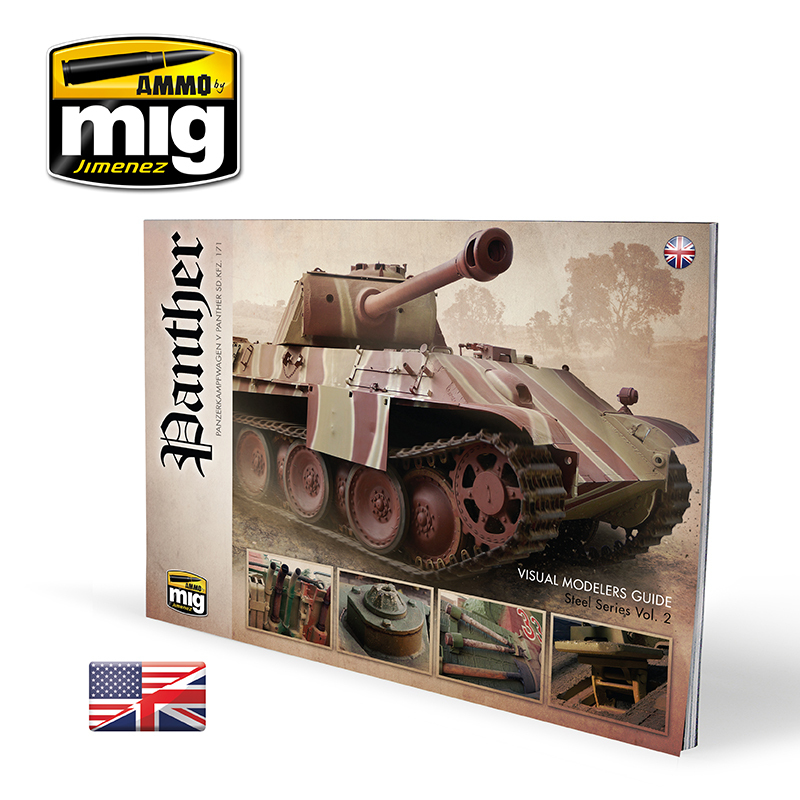 Complete colour guide with information about both the interior and exterior colours used on the Panther.